Foam Machines, snow and Many for Hire! ​upon request with your rental! Create your own school and day care fun day package! 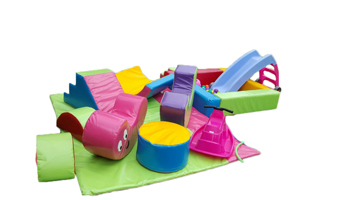 Affordable prices on all our play equipment and stretch tents. We strive to deliver our best service, from making your booking to setting up your inflatable., We also never compromise on the safety of our equipment that's why we make sure our equipment is cleaned and inspected before it's delivered to your door. Setup, delivery and collection in the Vaal Triangle. 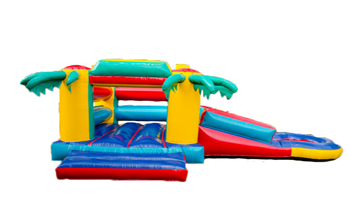 Vaal Jumping Castles is a family owned business and offers quality products for hire, prices to suit your budget, whether for parties, school events, corporate functions, weddings and fundraisers.. Our main business are inflatables but we also hire out stretch tents, tables., chairs and other products. NEW!!! 6x9m Waterproof stretch tent, adult tables and chairs, function hiring, and snow packages for your party/event available! 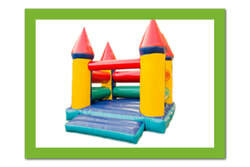 Bounce house, bouncy castles, moonwalkers, jumpy castles etc. These inflatable play structures are tagged many names but one thing we know is that, kid's love playing on them. Whether its a birthday party, wedding, school fun day, corporate event or fundraiser, our inflatables will certainly keep your guests entertained. throughout the day. We also like to keep a variety of inflatables and products to meet the different needs of our customers that's why our inflatables come in different shapes, sizes, colours, themes and let's not forget our water slides which is fun in the summer for both children and adults.. We also have foam machines, foam pit's, a spitbraai, popcorn machine, a boxing ring, stretch tents, soft play, themed photo boards and our biggest jumping castle yet, The Warrior which is 10 x 10 meters for hire. ​Hiring a jumping castle is also a great way to attract new customers when, you are having sale or launching your new business. 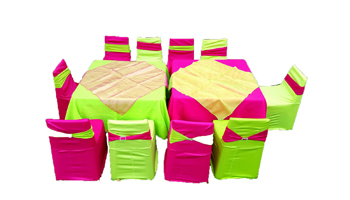 We doubt that anyone would ignore a jumping castle when passing your premises. Started with one inflatable and ended up with a whole lot more. Never thought we would get this busy. The thing is, we love what we do and we try our very best to keep our customers satisfied. We also pride ourselves to keep our equipment clean and always in a good safe condition.